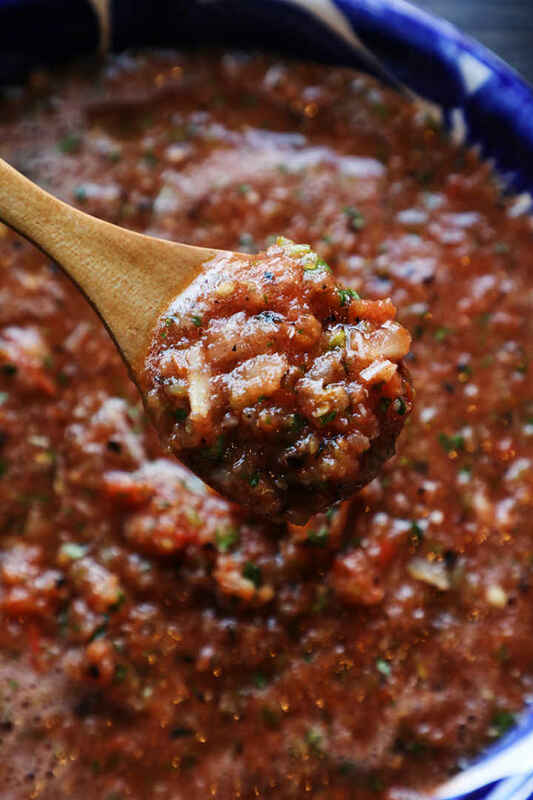 Five ingredients are all you need for this quick and easy salsa recipe. 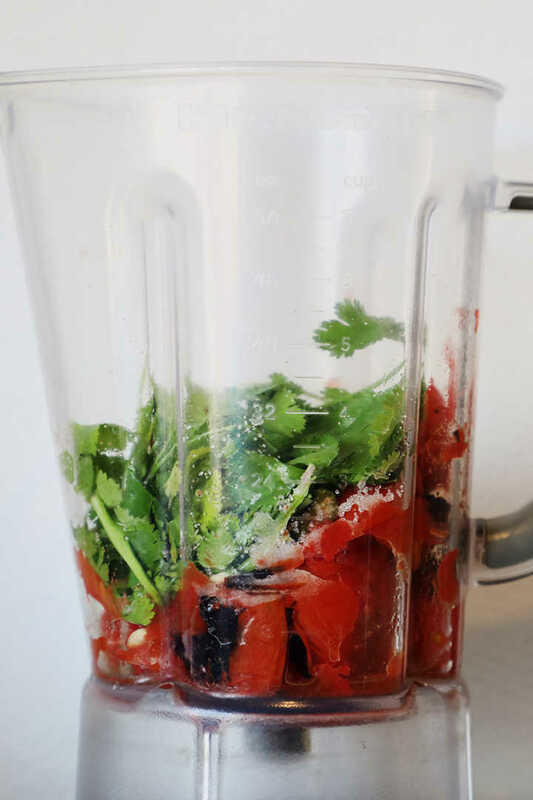 I encourage you to make your own salsas. It’s simple, takes little time and well worth the effort. 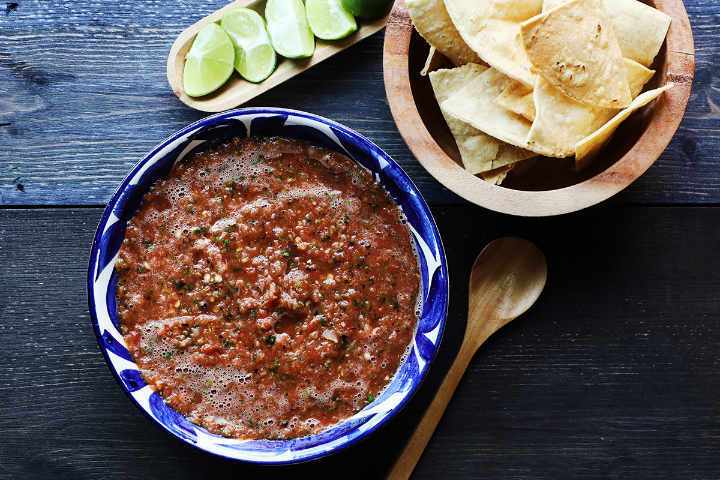 Store-bought salsas just don’t compare. I think you’ll agree. 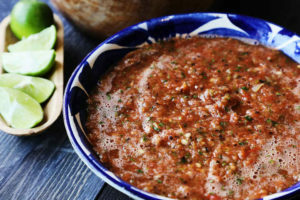 Mexican salsa that goes well with chips, carne asada tacos, and eggs. 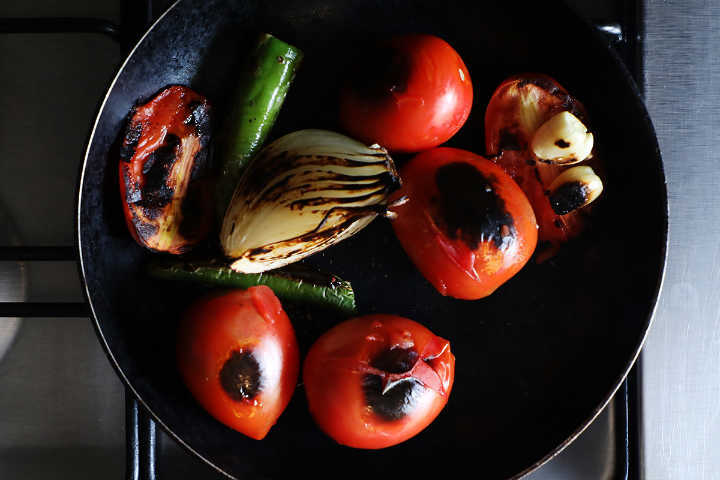 This is a vegetarian salsa.This is a vegan salsa.Don't use a skillet with a non-stick coating. 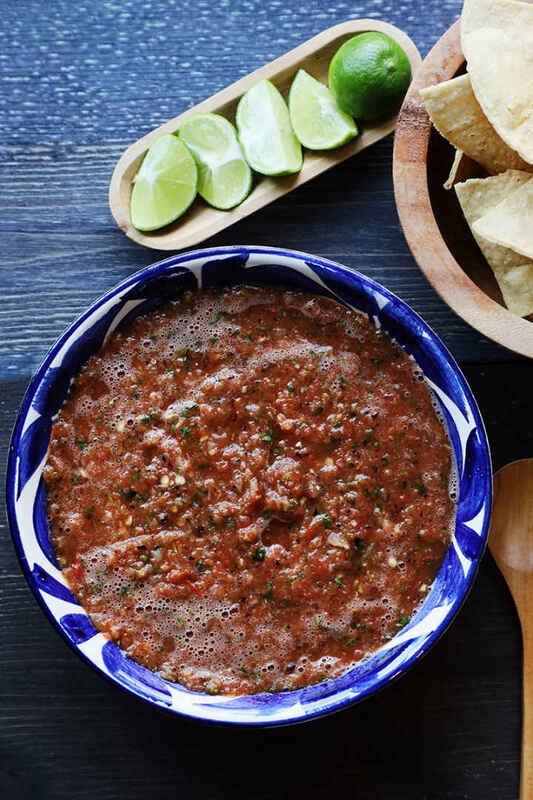 Your salsa will keep in the refrigerator for 3 days. 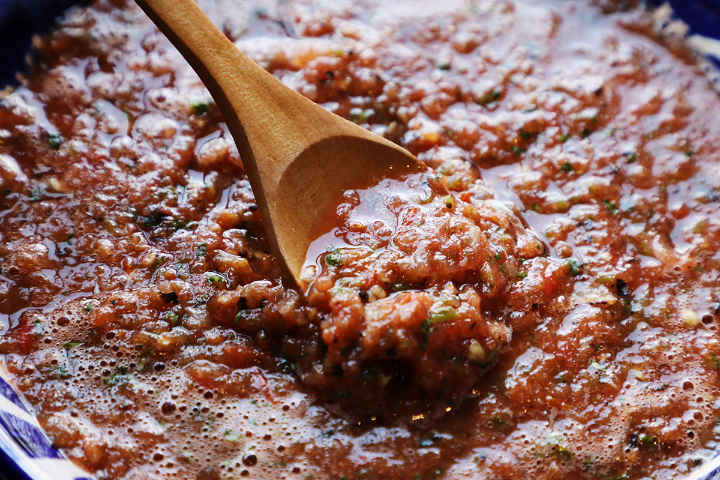 This salsa doesn't freeze well. 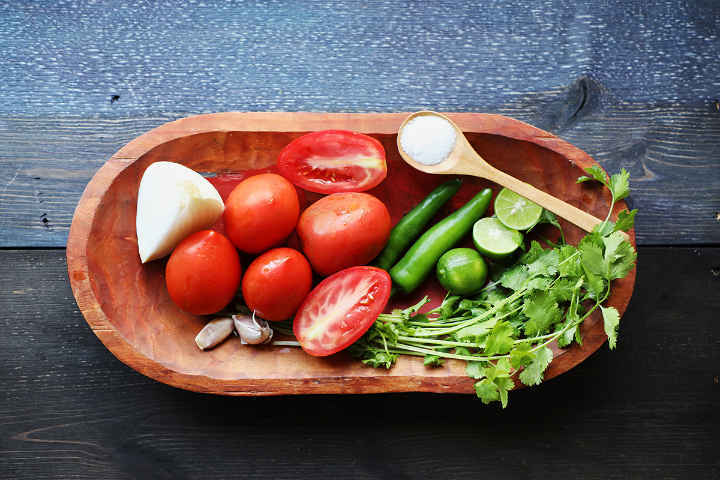 Any chance you will post your enchilada sauce recipe you had on your previous website? Been searching high and low for it. Thank you! What is a “comal” and where can you buy one. PS. I love love your website. Thank you. 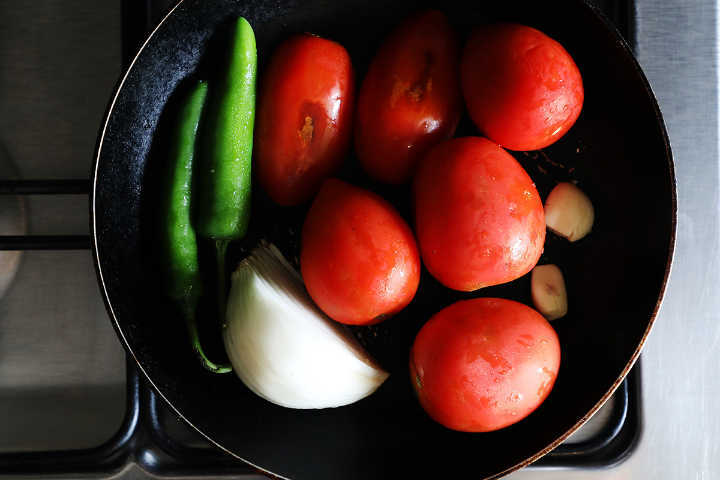 Diana, a comal is a Mexican griddle used for many tasks; cooking tortillas and gorditas, reheating tamales, roasting peppers, and charring vegetables for salsa. Hernán sells a nice cast iron one https://hernanllc.com/collections/cookware/products/comal Cheers! Hello Douglas, if i double the tomatoes to make it more liquidity would i also double the spices to ? i put a green chilli in mine . Thank U.
Hello ! Mr.D, U said juice of one lime, is that the small or big lime T U. Also i got me a wooden tortilla smasher, A.K.A. tortilla press so i can try to make corn tortillas ,this time i hope they doint stick to the pam covered plastic ! Hope U & Ur wife all the best GOD has !